First published at In Defense of Capitalism & Human Progress and posted here with the kind permission of the author. 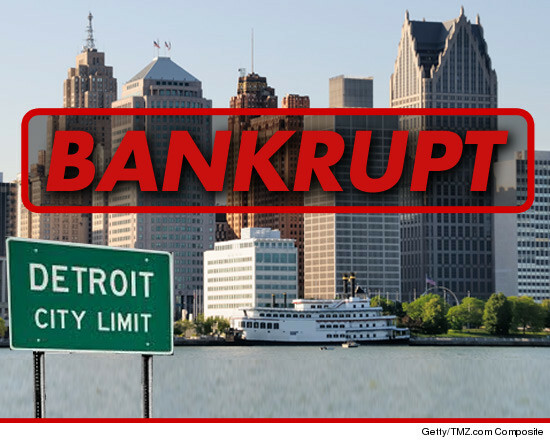 Detroit’s bankruptcy filing is the epitaph on decades of failed city government policies that brought a great metropolis to its knees. Over the coming weeks and months much of the media attention will be on the bankruptcy proceedings, themselves, as the courts and responsible parties determine how to reorganize the city’s debt liabilities among the claimants. 1. A regime of competitively low taxes to make Detroit once again an attractive place in which to live and invest. Higher taxes in an attempt to squeeze more revenue out of the remaining tax base will only drive more people and businesses out of the city, and slow or even prevent the rebuilding of the city. 2. The city should take advantage of Michigan’s new status as a “right-to-work” state, which can assure and emphasize to prospective business investors that Detroit offers a flexible and profitable work environment. Trade unions in the city must accept the fact that a “closed shop” and an anti-employer mentality in negotiations over wages and workplace rules will not bring down an unemployment rate in Detroit that is double the national average. 3. Property rights must be safe and secure. The first priority in the reorganizing of the city’s use of available tax revenues must be to restore safety for persons and property throughout the entire jurisdiction of the city of Detroit. Police response time has to be brought down from almost one hour after a call is received to something much closer to the national average of about 11 minutes. Assaults on people, and vandalism and destruction of property in all parts of the city must not be tolerated, and must responded to with the full force of the law. 4. Municipal reform needs to include a reduction and streamlining of city regulations, licensing, and zoning rules over all business and enterprise, large and small. Not only do such networks of government controls breed corruption and favoritism, it stifles competition and makes the opening and growth of small and medium-size businesses very costly if not impossible. The first order of business for Detroit is to allow people to help themselves, and they cannot do that when city regulatory procedures, fees, and rules for starting and operating local businesses is prohibitive for its low-income residents. 5. The Detroit city government must permanently downsize its role and activities in the community. City government provision and management of municipal services has often been found to be more costly and less efficient compared to their being supplied by private enterprise. Many municipal services can be either sold off for the private sector to provide completely with no city involvement, or can be contracted out through an open and competitive bidding procedure. This will reduce the amount of tax revenue needed by Detroit’s government, and will free up the city’s resources to provide those essential services such as police, fire, and health matters that virtually everyone can agree as being the role of government in society. If public policies such as these are introduced as Detroit emerges out of the formal bankruptcy procedures, the city can have a rebirth that makes it once again one of America’s great and growing communities.